Missouri Gov. 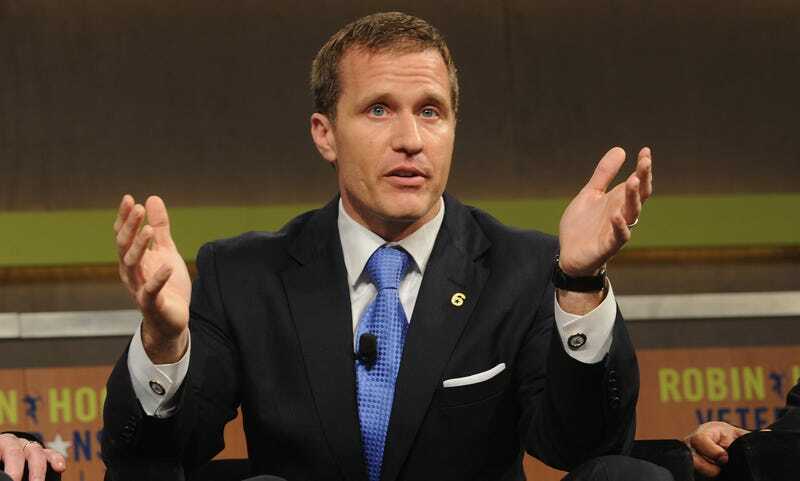 Eric Greitens (R), who is facing a criminal invasion of privacy charge and is the subject of an intensifying Republican-led state House investigation, was accused by a woman under oath of sexual coercion and physical violence, according to a report released by a state House committee. “You’re not going to mention my name. Don’t even mention my name to anybody at all, because if you do, I’m going to take these pictures, and I’m going to put them everywhere I can. They are going to be everywhere,” he said, according to her testimony, “and then everyone will know what a little whore you are.” The governor previously denied that he had ever blackmailed or threatened the woman. In another meeting, the woman said Greitens asked her whether she had been sexually active with anyone else, including her husband. When she replied that she had, Greitens “slapped me across my face, just like hard,” the woman said. Greitens, a former Navy Seal who released a 2016 campaign video that was just him shooting a machine gun, has also referred to abortion as “barbaric” and is a “good friend” of Mike Pence.